By Mario Alexander on March 19, 2019. 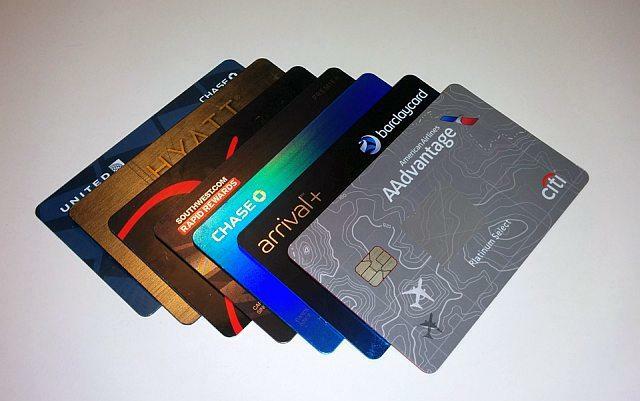 When it comes to picking the right credit card, it's easy to get confused. With so many options out there offering different interest rates, credit limits, amazing sounding perks and who-knows-what-else, it's important you do the research to find the right card for you. If you're looking for a new card, make sure you consider these steps. The type of card, interest rates and rewards that you can get are all dependent on your credit score, which you can check via several platforms. Your credit score is representative of how much credit providers trust you, thus the better your credit score, the more likely you are to be approved for the best cards and associated perks. If your credit score is lower than you would like it to be, this will put certain parameters on what cards you can apply for. Alongside those limits, this should also add a focus to your search of finding a card that will help build your rating so you can apply for better deals in the future. And remember, a poor credit rating isn't the end of the world. You can rebuild your score as long as you choose the right financial options and budget carefully. Are you looking to improve a poor credit rating? Are you looking to manage a high interest debt from another card, loan or overdraft? Can you pay off your balance fully every month? Are you looking for the best rewards on your spending? Are you looking for low interest on purchases? Are you a business owner looking to open a card in the company name? Regardless of if any of these apply or not, analysing your personal situation accurately will shape your thinking towards the type of card you want. Secured cards and bad credit suitable cards are best for those looking to build their credit score. A secured card requires a deposit which is repaid if you keep in good standing. Bad credit suitable cards may not come with a deposit but will offer low credit limits and a high interest rate which encourage you to keep to regular monthly payments and build trust. The intention is good behaviour and regular payments will build your credit score and open you up to bigger limits and better rates, making them a good starting point to build on. If you already have debt from another card or loan that is generating a lot of interest, finding a 0% APR card allows you to transfer the balance from your high interest account and allow you to pay off that debt interest free. They're also suitable for making bigger or emergency purchases and opening several, if managed correctly, is a good way to boost your credit utilisation. If you're confident you can pay your full balance every month and are simply looking for the best bonuses, rewards cards are high APR options that offer points and cashback options that will benefit you in the future. Different cards offer different perks, so the more meticulous may open different accounts to get the most from their purchases. Once you've done the research, you can feel confident in the card you've chosen. The most important thing after that? To manage it correctly.